Do you ever feel impatient with God? Does He seem late in answering your requests or meeting your needs? Jesus spoke to the issues of how to pray, how long to pray, and how long God might take to respond. One day His disciples asked Him to teach them to pray (Luke 11:1). He told a story about someone with a need who was very persistent in asking a neighbor for help. Jesus encouraged his disciples to be persistent in prayer. The story makes it clear that our ability to ask does not equal God’s response or its timing. God is not a celestial bellhop waiting at our beck and call. Neither does He rely on us to define our needs, outline solutions, or say when or how He should act. No, God does those for us which is just as well since He is all-wise. God delights in His children developing the habit and freedom of asking Him for help (Luke 11:9-10). 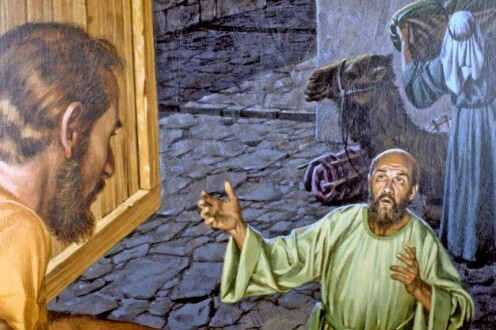 But He won't leave us trapped in our limited perception of the situation (Luke 11:11-13). Sooner or later He will answer our prayers, but in His own time. He asks us to trust Him to know what is needed and when. Our calling, then, is to ask even persistently and to grow in the process. One of the surprising benefits of praying is how much we change. Sometimes, that in itself is the answer to our prayers!